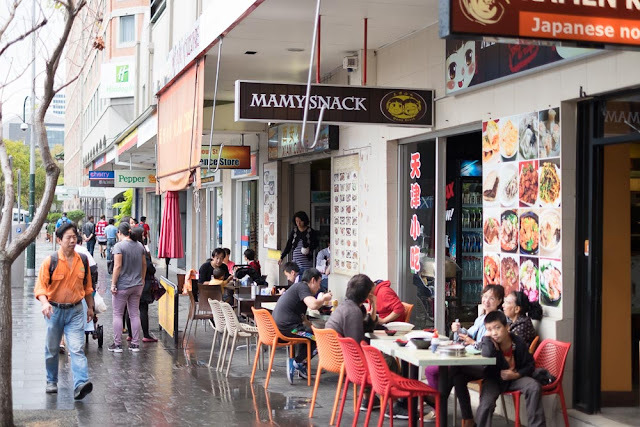 Fill up on Tianjin cuisine at Mamy Snack in Chinatown. 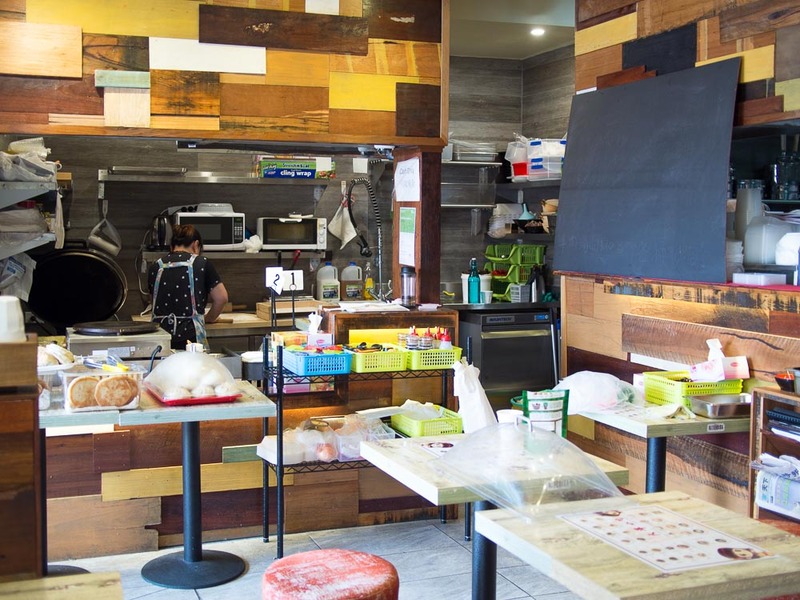 It's great to see a new hole-in-the-wall joint in Chinatown, right next door to the legendary X'ian Cuisine (best Chinese hamburgers in town by a mile). The joint is tiny with just a few tables inside and out, and a lovely view of the ex-Entertainment centre outside, or a lovely pastry lady inside. We haven't quite got through all the stuff we want to try on the menu, so this is kind of half-time match report, so far so good. The servings are large to huge and food is hearty to stodgey. We look forward to fuelling up at Mamy Snack over winter. 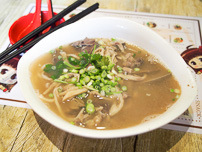 Lamb piece noodle soup with mushroom and liver - $10.80. There ain't too many pieces of lamb meat in here, but there's a whole bowl of offaly goodness including all bits of the pluck. A lamb offal lucky dip. Love that gently lamb-y broth. 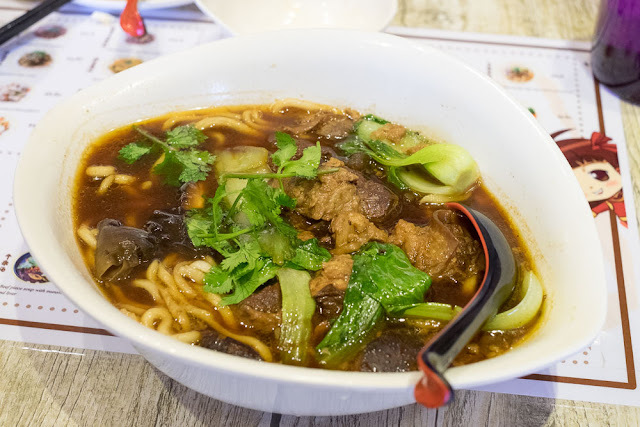 Braised beef noodle soup with handmade noodles and bock choy - $10.80. Another hearty soup - the photos don't quite depict how large the serves are. 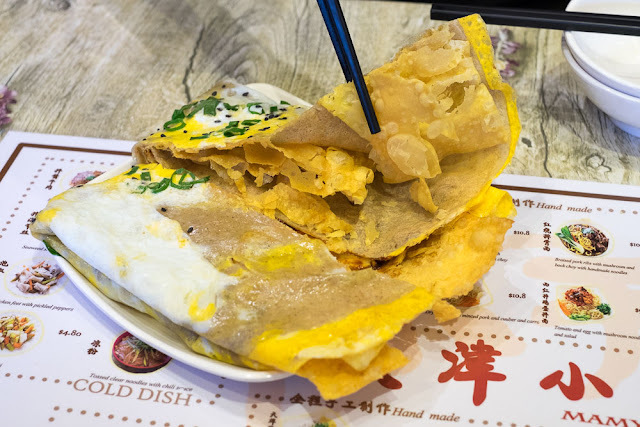 Crepe made from mung bean flour and egg with crisp filling - $6.80. 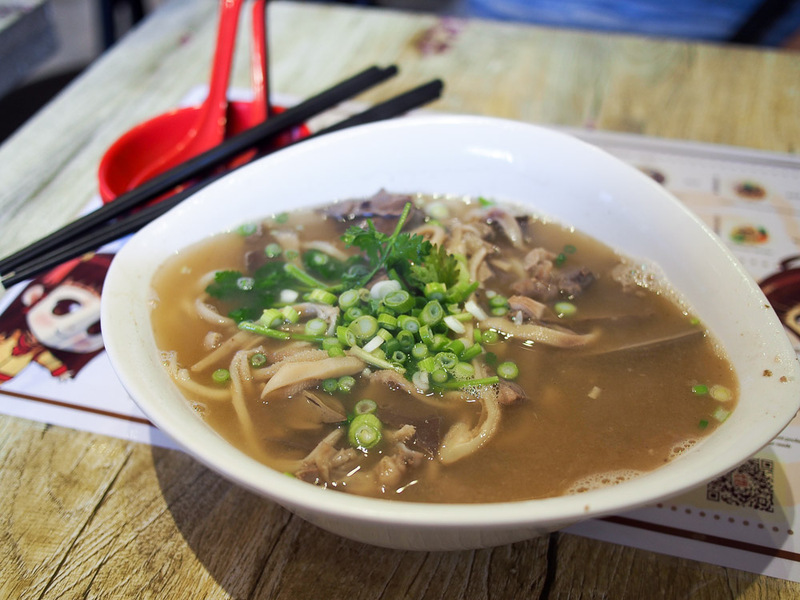 A classic Chinese roadside snack. The crunch of the fried bread inside the soft eggy pancake is a winter wonder. 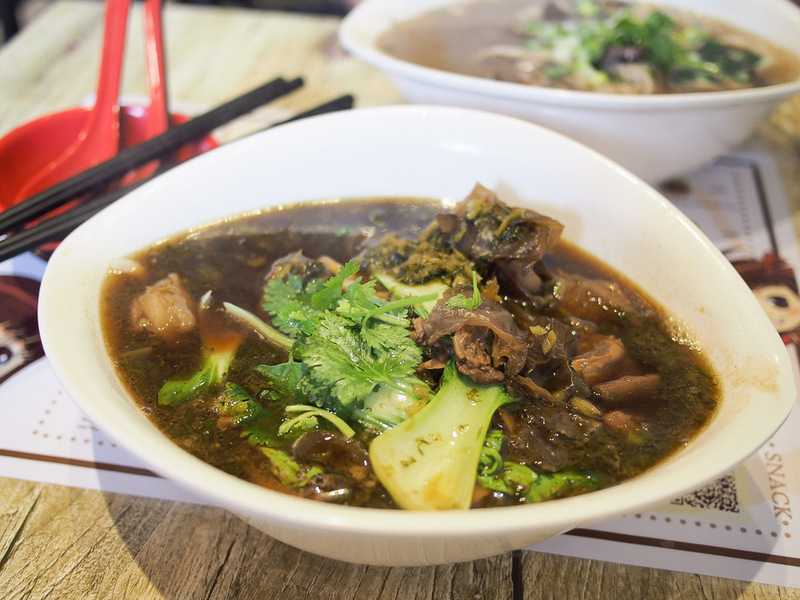 Braised pork ribs with mushroom and bock choy with handmade noodles - $10.80. More soup! 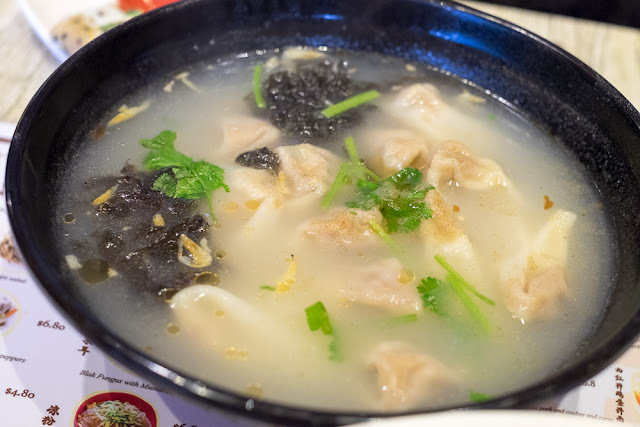 Tianjin small wonton filled with pork meat - $6.80. There's a couple of smaller soups on the menu, and these are still pretty big. 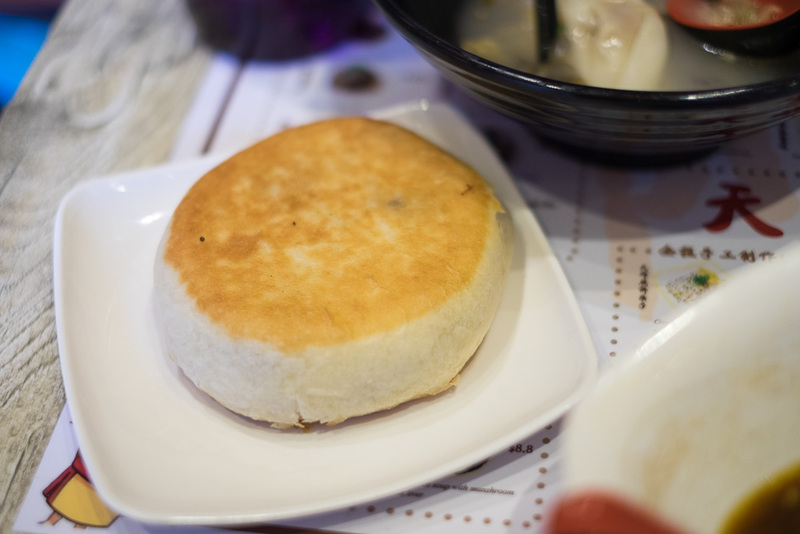 Tianjin style home made pocket bread with mince pork filling - $4.80. A bread-y bun with pork mince inside. These are great cold too so grab a couple for tomorrow's little lunch. 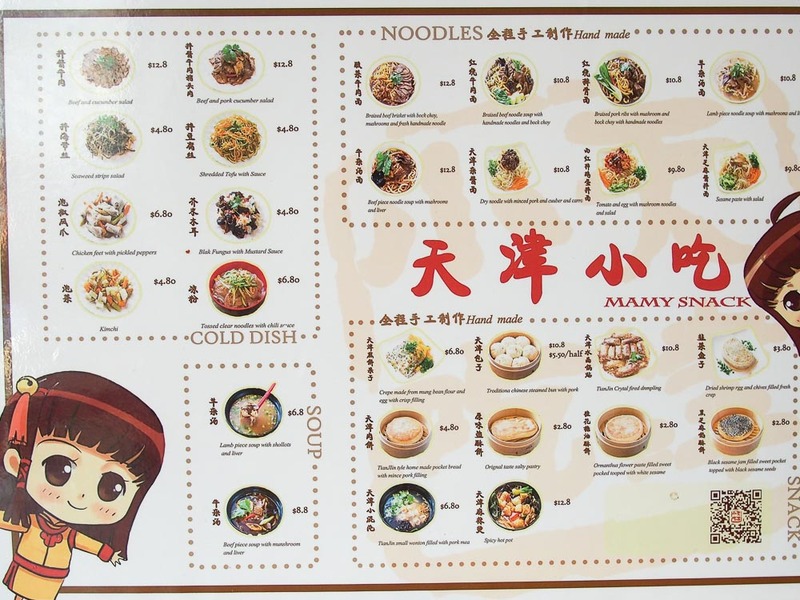 Mamy snack menu - click to enlarge! Mamy Snack is at Shop 3/90 Hay St Haymarket/Chinatown. There's a branch in Homebush too. We're pretty sure it's the same folks anyhoo. Mmmm, must investigate - thanks!